To meet regulations and save money, it is important to find a reputable silver recycling or recovery company to manage your company’s silver waste. So, what is silver waste? Silver waste comes in a variety of different forms, such as photographic film, paper, ash and sludge, and all of these are a form of industrial waste and commercial waste. To meet industry regulations, this waste has to be professionally, safely and environmentally managed. Silver waste is a form of hazardous waste, and because of its toxicity is considered hazardous waste both before and during the recovery or disposal process. However, just like solvent recycling, there is a chance to recover this product. Silver metal product can be recovered from silver waste, as long as high-quality machinery is used to do this job. This means you can earn money on your silver waste, and contribute to your bottom line. Why is it important to choose a reputable silver recycling/recovery firm? Companies that generate silver waste, and hazardous waste in general, are both responsible and liable for the proper handling, recycling and disposal of that waste. If you fail to meet industry regulations, including the off-site handling of silver waste, then your company will be held liable for this mismanagement. Choosing a responsible silver recoverer or recycler will protect your company and minimize the chance of your silver waste being mismanaged. What is the difference between a silver recycler and a silver recoverer? Many in the industry are mistaken into thinking that a silver recycling firm and a silver recovery company carry out the same job, however there are differences between the two services. Here at Maratek Environmental we carry out both services, so we have outlined the differences between each one here. Silver recoverer: Recoverers typically combine both silver recovery consulting services with silver recycling services. These companies generally assist the generator in recovering silver from waste streams; pick up and purchase recovered silver from the generator; and prepare and sell the recovered silver to a refinery for purification. Silver recycler: Silver recyclers do not provide on-site recovery consulting or pick up recovered silver. They do, however, purchase silver waste from your company, recover silver from it and then sell that recovered silver to a refinery for purification. How do I choose a trustworthy company? Since you are responsible and liable for the management of your company’s silver waste, it is important to choose a silver recycler or recoverer that you can trust and that you know will get the job done safely. That’s why it’s important to do your research. Once you have found a potential company, you should ensure that you ask questions about their processes to find out whether they are experienced and professional at what they do. Questions to ask a silver recycling or recovery company could include; How long have you been in business? ; How much silver recycling or recovery do you do? ; Who are your existing customers? 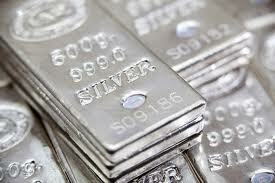 Want to learn more information about silver recovery or recycling? Perhaps you want to find out some more questions that you could ask a potential recycling/recovery company? Please contact Maratek’s team of experts today, who will be more than happy to advise you on further questions as well as talk you through the process of each service and how it works.